Zipper Spy is the American artist Maria Moran. 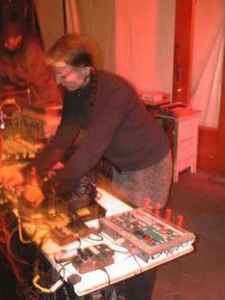 As well as constructing installations, she is a producer of unique music - combining elements of dance, noise and even at times ambient. She was formerly married to Emil Beaulieau, a fellow noise musician. Zipper Spy Living In A Free World?